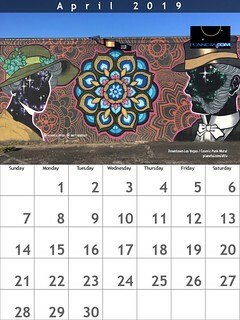 This page is a special shoutout to those attempting live and recorded video from the event organizers, educators, tour guides, artisans, academics, and others featured and linked from Planeta.com. Live news disasters receive around-the-clock video coverage on multiple channels. Example: this week’s burning of Notre Dame Cathedral. What will we see in a few days? Paris will likely disappear from headline news and it will be difficult to keep track of the renovations. On our wishlist, slow tv-type coverage of World Heritage maintenance, and when possible, connections with responsible, slow, conscious travel. Behind the scenes we have our challenges – digitizing old video tapes, movies, slides and presentations, and weaving participant-made videos in following and recapping live events and conferences. What live and recorded videos would you like to see from formal events? = ¿Qué videos en vivo y grabado te gustaría ver de eventos formales? Would you watch a live video event (tour, Q&A, presentations) during Responsible Travel Week? What would you like to see? = ¿Podrías ver un evento de video en vivo (tour, preguntas y respuestas, presentaciónes) durante la Semana de Viajes Responsables? ¿Que te gustaría ver? Who do you watch on Periscope, FacebookLive and YouTube? Are you following or subscribed to their channels? = ¿A quién ves en Periscope, FacebookLive y YouTube? ¿Estás siguiendo o suscrito a sus canales? Responses and other comments are welcome. Want to have a private, behind-closed-doors meeting, a members-only conference? Fine, we understand. But don’t expect others (people not in the room) to feel engaged. Those not in the room — potential remote participants — need to see as much as possible of what’s going on and contribute to the dialogue. 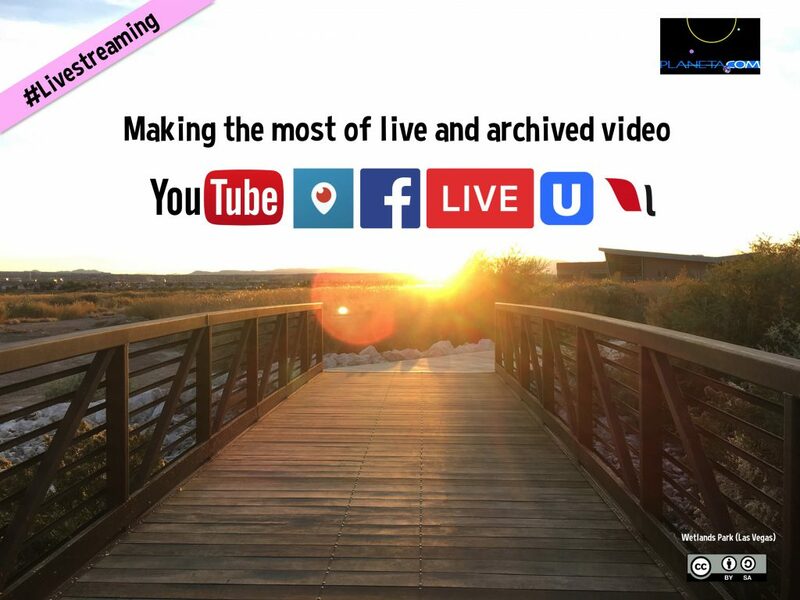 Livestreaming combined with video archives is useful to participants who were in the room and now have the option of later viewing and sharing with friends and colleagues. Journalists and bloggers can easily embed the highlights for summaries. 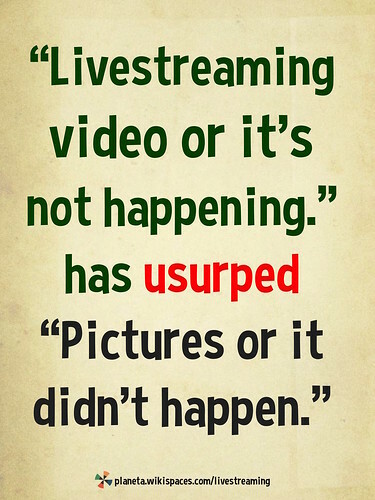 Event organizers need to ask: why not offer livestreaming video for portions of the event? We encourage the creation of viewing parties. New Zealand takes the gold when it comes to live video streaming, making conferences accessible to the world. Our current choice of a benchmark event is New Zealand’s NetHui which since 2010 has made the most of face-to-face networking and online interaction. In 2015 NetHui improved on its own record by providing real-time captions and in 2016 NetHui took its show on the road, visiting three cities in one week and continuing to stream the video from each location. The 2017 NetHui takes place in November with its schedule being developed. Look for other notable NZ examples with participation from Internet New Zealand, including Food and the Internet and Democracy and the Internet. When I was in high school (the Jimmy Carter-Ronald Reagan years), friends and I created our own TV show. Back in the 70s TV production was very expensive and inaccessible to most. We made our AV-Room series (something I wanted to call Summit Up in reference to the Summit City), we turned out ‘shows’ on what I remember as suitcase-sized cassettes. These were modern times. Cut to the 80s and 90s when video cameras became inexpensive. We could produce our own television. And the discount in sharing – webcasting – continues. The ‘Livestreaming’ presentation is available for download and embedding (sharing) on other websites. It has a Creative Commons attribution-sharealike license.